Europass Curriculum Vitae (CV) is a set of five documents prepared by European Union (Directorate General for Education and Culture) aiming to increase transparency of qualification and mobility of citizens in Europe. For job seekers, their objective is to help citizens communicate their skills and qualifications effectively when looking for a job or training. For employees, it helps them to understand their skills and qualifications. While sometimes criticised for excessive complexity, use of Europass CV is recommended for the job selection process, especially in national and European Union governmental institutions. 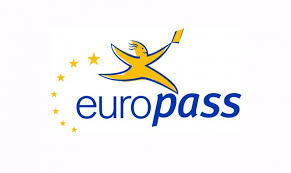 Europass consists of five documents to make your skills and qualifications clearly and easily understood in Europe- Curriculum Vitae, Language Passport, Europass Mobility, Diploma Supplement and Certificate Supplement. Language skills are defined in the first two documents- Curriculum Vitae (CV) and dedicated document describing the language skills called Language Passport. Note: European Union operates a dedicated website where you can create your CV online using tutorials or download the template, examples and instructions. 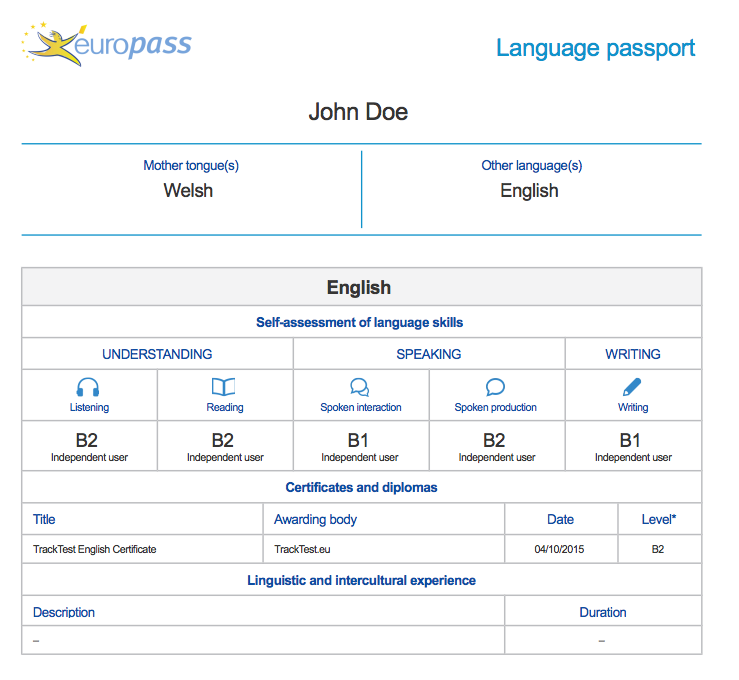 Language Passport is a self-assessment tool for language skills and qualifications. It means that you are supposed to evaluate yourself based on CEFR descriptors. Moreover, you do not define an overall level of language (A1,A2,B1,B2,C1,C2) but your level for each language skill– Understanding (Listening and Reading), Speaking (Spoken Interaction and Spoken production) and Writing. If you find it tricky, you can use TrackTest English Level Test for evaluation at which English level you are. Self-assessment grid of language skills (partially). Use your TrackTest level section results (Reading, Listening) if you scored above 65% there and Speaking if you pass the optional English Speaking test. Certificates and Diplomas section. Fill in the title- TrackTest English Certificate, Awarding body -Tracktest.eu and English level. You may attach your TrackTest English Certificate to your job application as another attachment. Please note that results from the Placement pre-test cannot be used as the official certificate.